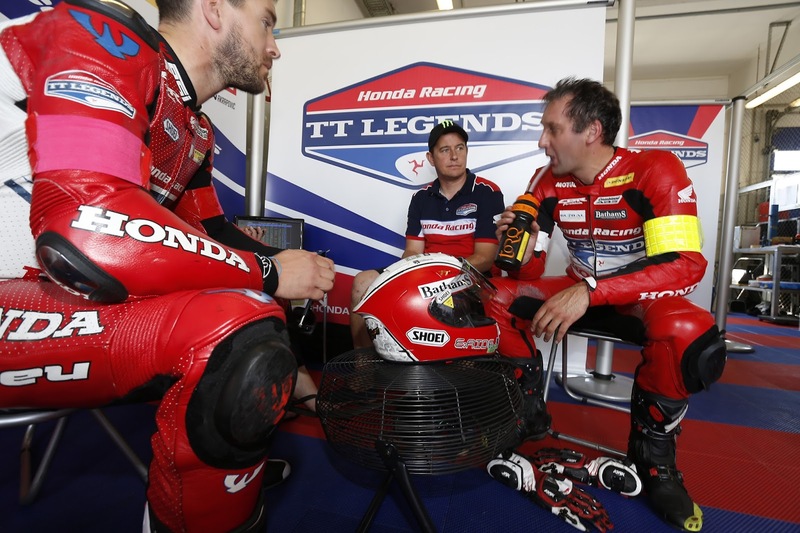 The Honda TT Legends will start tomorrow’s 8 Hours of Oschersleben Endurance World Championship race from 11th on the grid following the final qualifying session today. 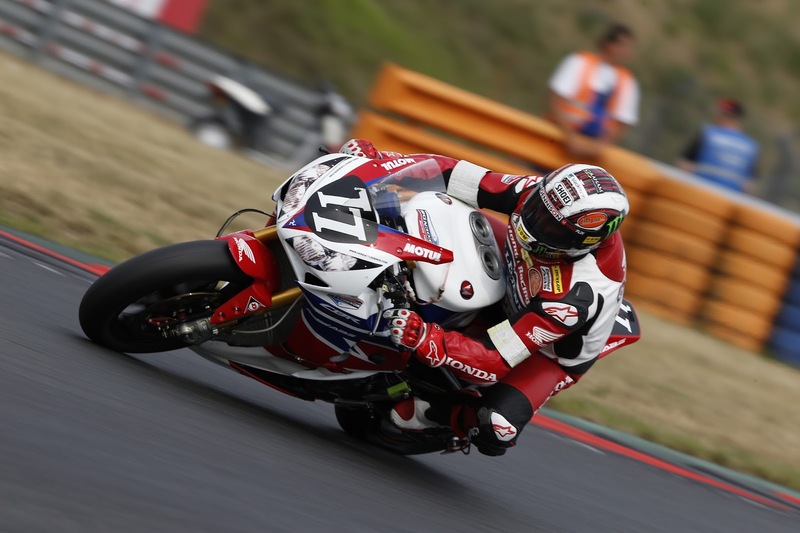 In hot and sunny conditions, Michael Rutter, Simon Andrews and John McGuinness once again took to the 3.6km German circuit for 20 minutes each. Higher track temperatures and incident-filled sessions meant it was difficult to improve on yesterday’s performance, however Rutter did manage to shave two tenths off his time with a 1’28.800 lap. The grid position is determined by the combined average of the three riders’ fastest times across both qualifying sessions. The TT Legends’ combined average of 1’29.144 sees the team start tomorrow’s race from 11th on the grid. 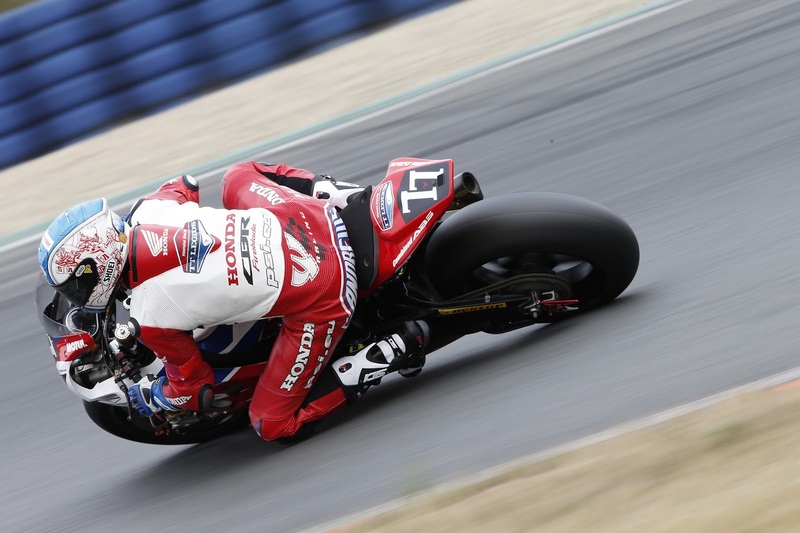 The 8 Hours of Oschersleben will begin at 13.00 CET. We were hoping for some improvement today but the warmer weather meant no-one really improved on their time. We’ve maintained 11th overall but I don’t think that is a true reflection of where we are capable of running in the race. We are consistent and we have a good fuel strategy so if we have a trouble-free race I think we’ll be somewhere in contention. It was harder today because the track temperature was so much higher, but I’m pleased that I managed to get a 1’28 lap. Everyone was struggling with grip and I don’t think anyone really improved too much so we’re not alone in that. Now we just have to look forward to tomorrow and focus on bringing home a good result in the race. I’m a little bit disappointed to be honest as we were expecting a bit more. At this stage in the season though we just need to make sure we get a solid result and score some points, which I think we are more than capable of doing as a team. My objective was to get clear track but there were five crashes in my session so it proved difficult. I managed to get one or two half-decent laps and got a good feel ready for the qualifier. With the qualifier in, I had to abort two laps due to crashes and then there was some gravel on track. It’s frustrating really as we were pumped and ready to go faster, but in the end pretty much the whole field was slower. Oschersleben. Das Penz13.com Franks Autowelt Racing Team ist mit seinen Piloten Jason Pridmore (USA), Pedro Vallcaneras (ESP) und Steve Mercer (GBR) auf den zehnten Startplatz des Deutschland-Laufes der FIM World Endurance Championship gedonnert. Bei heißen Temperaturen waren um die Mittagszeit kaum Zeitenverbesserungen möglich, lediglich Vallcaneras konnte noch ein paar Hundertstel schneller als am Vortag fahren. Der zehnte Startplatz in der Gesamtwertung der Qualifyings bedeutete für die BMW-Mannschaft außerdem den fünften Rang im Superstock-Klassement. Auf die STK-Spitze fehlten dem deutschen Team gerade einmal 0,49 Sekunden. Pridmore blieb der schnellste Mann der Truppe, mit seiner Zeit von 1:28,666 Minuten vom Vortag. Mercers Bestzeit stammte ebenso vom Donnerstag, gemessen mit 1:28,818 Minuten. Vallcaneras steigerte sich am Freitag auf 1:29,525 Minuten. Der Durchschnitt dieser drei Zeiten beläuft sich damit auf 1:29,003 Minuten. Die Pole Position für das morgige 8-Stunden-WM-Rennen von Oschersleben ging an die zwölffachen Endurance-Weltmeister vom Suzuki Endurance Racing Team (SERT) mit einem Durchschnitt von 1:26,897 Minuten. 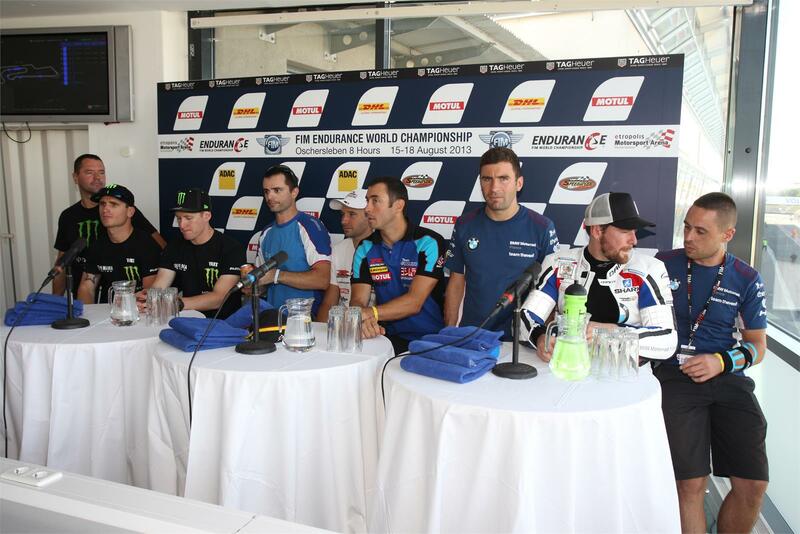 Das BMW Motorrad France Team Thevent 99 holte Startplatz zwei. 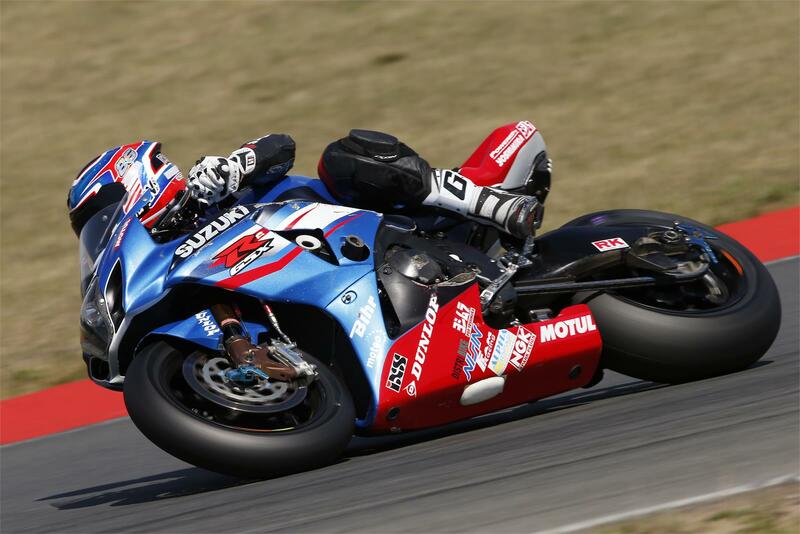 Suzuki Endurance Racing Team is on Pole for tomorrow’s World Endurance Championship Oschersleben 8-Hours third round in Germany. SERT riders Vincent Philippe, Anthony Delhalle and Julien Da Costa improved on their combined time yesterday aboard the French team’s GSX-R1000 to top the timesheets with a 1:26.897 average around the 3,667m circuit in the north of the country; just under 200ths-of-a-second ahead of BMW Motorrad France’s Sebastien Gimbert, Erwan Nigon and Damian Cudlin; who’s third-best lap-time of 1:26.677 boosted the team’s overall time to 1: 27.060. Third is Monster Energy YART’s Broc Parkes, Josh Waters and Igor Jerman on 1:27.168 – Parkes’ best lap of 1:26.147 from yesterday remaining the best ahead of Philippe’s 1:26.571. They are just ahead of Yamaha France GMT 94 (1:27.758) and the Bolliger Team Switzerland Kawasaki on 1:28.313. GSX-R1000-mounted Junior Team LMS Suzuki’s Baptiste Guittet, Etienne Masson and Gregg Black will start as the top Superstock Class qualifiers after posting the sixth overall best time of the day with a 1:28.513; and fellow Suzuki Superstock team, AM Moto Racing Competition (Anthony Loiseau, Romain Maitre and Jonathan Hardt), finished ninth overall and fourth-best in class with a time of 1:28.737. 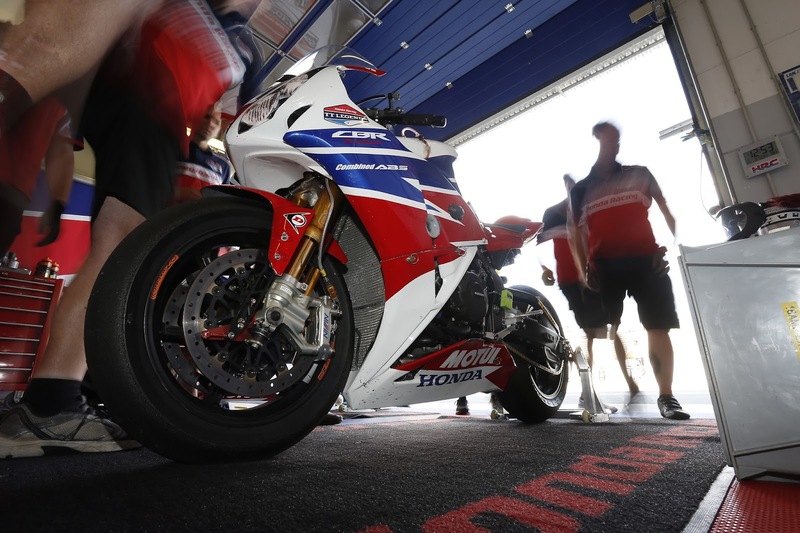 Oschersleben 8-Hours Final Qualifying: 1 SERT (Suzuki GSX-R1000) – 1:26.897, 2 BMW Motorrad France (BMW) – 1: 27.060, 3 Monster Energy YART (Yamaha) – 1:27.168, 4 Yamaha France GMT 94 (Yamaha) – 1:27.758, 5 Bolliger Team Switzerland (Kawasaki) – 1:28.313, 6 Junior Team LSM (Suzuki GSX-R1000) – 1:28.513, 7 Team Louit Moto 33 (Kawasaki) – 1:28.540, 8 DGSPORT HEROK (Yamaha) – 1:28.697, 9 AM Moto Racing Competition (Suzuki GSX-R1000) – 1:28.737, 10 Penz13.com (BMW) – 1:29.003.